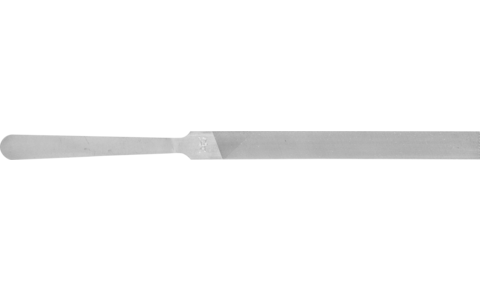 The punched file handle eliminates the need for an additional handle. Very small cross section for use in keyways. Rectangular file with flat handle and cut 2 on two sides. Shape A according to DIN 7283. Very thin file, which is particularly suitable for work on contacts and in narrow grooves and slots.